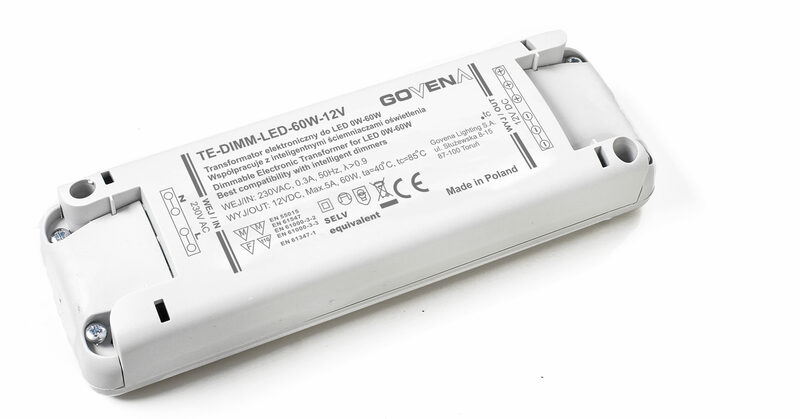 A transformer for LED’s – Govena Lighting S.A.
An electronic LED transformer with built-in AC/DC converter. This system is used for energising and dimming 12-volt dimmable LED sources and LED strips using an external traditional dimmer. Returnable over-current (overload), thermal, short-circuit protections. The transformer can be used to control the light intensity of LED sources through a dimmer. For best compatibility, it is recommended to use smart transistor dimmers with phase cut-off in slope control, i.e.with trailing-edge dimmers. 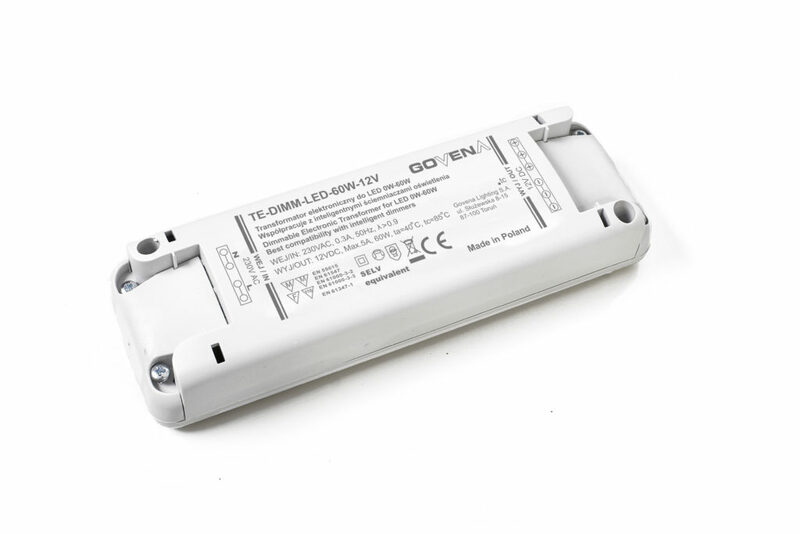 It is not allowed to switch between the electronic LED transformer, and the light source.